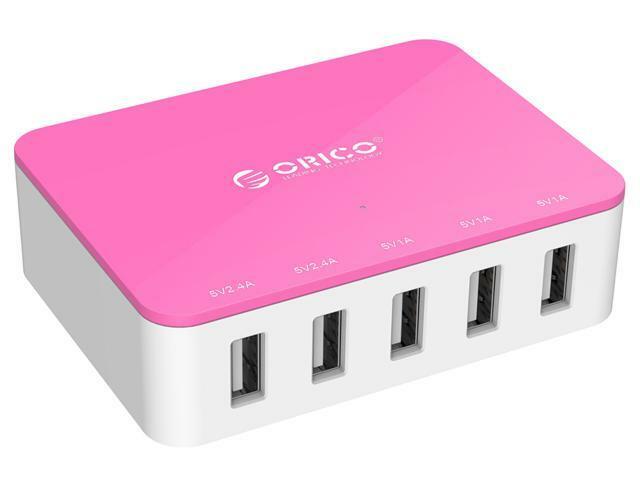 ORICO 40W 5 Ports USB Super Charger is your ideal desktop power solution for home and office. 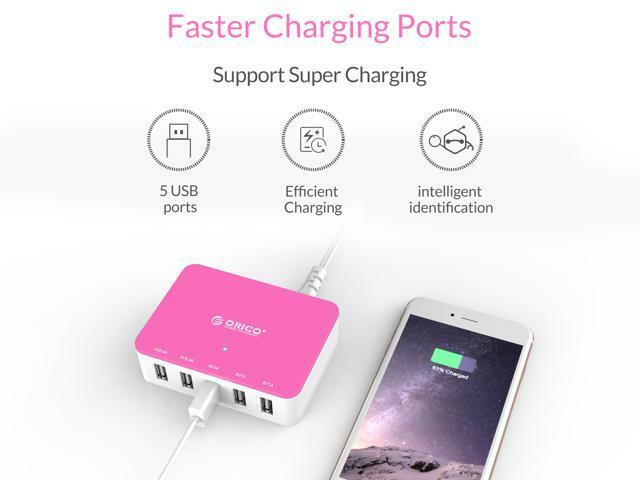 It provides 5 USB ports and a total output of 40 watts, all of them are 5V2.4A SuperSpeed charging ports, which offers the fastest possible charge speed up to 2.4 amps per port. 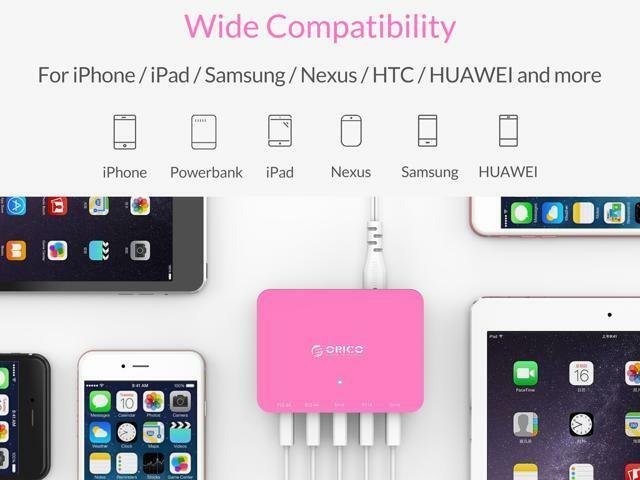 It lets you full charge any combination of cellphones, tablets, MP3 or other USB-charged devices simultaneously. It automatically detects attached devices and self-adjusts to a right status. 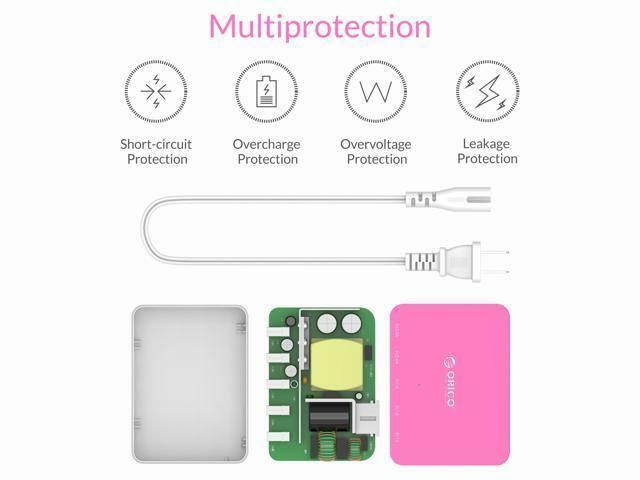 It gets no heat no matter you attach 1 or 2 or even 5 devices. 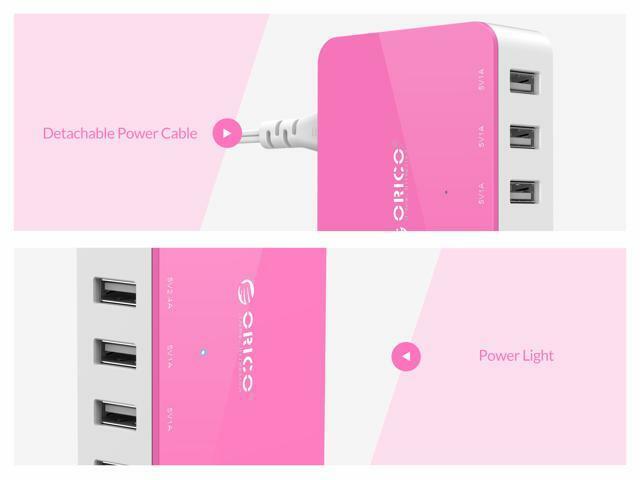 ORICO 40W 5 Ports USB Super Charger works with most USB devices including smartphones, tablets, notebooks and more popular compatible devices are: iPhone 6/6 Plus, iPhone 5/5s/5c/4/4s, iPad/Mini, iPod, LG G3, Samsung Galaxy, Amazon Fire Phone, HTC One, Nexus and etc. 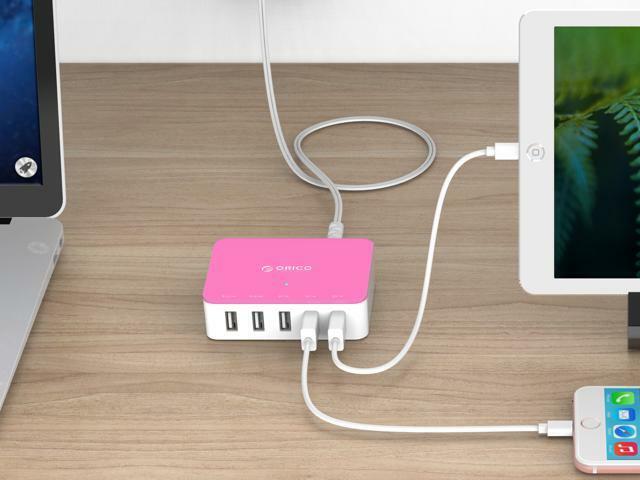 With its lightweight and compact design,you can easily put it in your pocket or bag and take it anywhere you want. 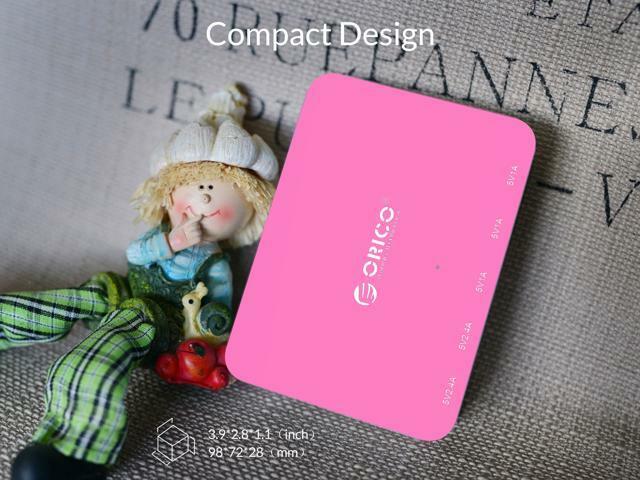 With its fashionable and delicate appearance,you can stay in a good mood at work or on a trip.